The issue of MOE’s review of free parking at schools for teachers has been getting A LOT of attention. I am surprised that it has gained this much traction (yes, lots of shares and buzz online). I would have thought it would have blown over by now. People actually don’t mind that our teachers get a sweet deal out of saving on parking. Never mind about whether it’s fair or not, most people think the teachers deserve it and that we need not make things difficult. Just leave it. I read this as appreciation for the profession. Of course, I could be reading this all wrong, I ain’t no mind-reader. Makes me happy reading it this way, so feel free to join me, hurhur. 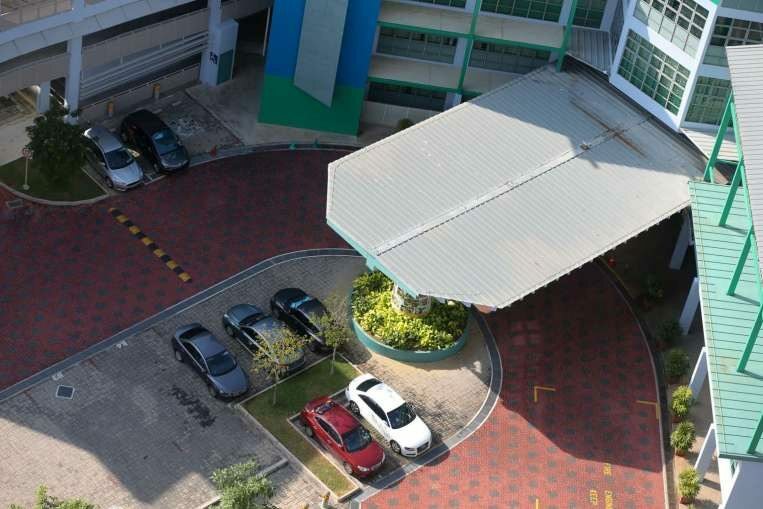 For years, teachers at national schools and junior colleges have enjoyed free parking at their institutions. But things might change this year as the Ministry of Education (MOE) has just announced it is reviewing this practice so that it’s “in accordance to civil service guidelines”. HOW MANY TEACHERS WILL BE AFFECTED? Not exactly sure how many, but teachers at over 360 schools and colleages will be affected. I think it’s safe to assume we’re looking at thousands of teachers? It’s apparently not exactly ‘sudden’ as most teachers have heard about a possible review for a few years now. The most obvious of sign came last year when the Auditor-General was reviewing financial lapses for the government for the 2014/2015 financial year. The AG had said that such practices “are tantamount to providing hidden subsidies for vehicle parking”. WHY IS THE AG SO STINGY? Actually… nooooo… It has nothing to do with being stingy, you know. A hidden subsidy means that something that is of some worth is given away and this doesn’t get recorded. It’s poor stewardship of public resources. This free parking means this ‘invisible’ transfer of value (the parking fees) does not get recorded anywhere. This implies that the deed is not transparent and also not traceable on records anywhere. WHY ARE PEOPLE SUPPORTING FREE PARKING FOR TEACHERS THEN? I suppose while our heads understand the need to be transparent and all, and we recognize that schools should be governed like the rest of the public institutions with the same rules, our hearts are telling us something else. And yes, almost all public service organisations, including the ministry, charge for parking at their offices. So we’ve heard what the average Singaporean thinks, shall we hear from an economist? He was as surprised as I was to see the wave of support! Helping to fuel this trending topic of free parking for teachers is this sharing of a message from an ex-teacher. It’s already been shared over 6,000 times as of now. I’ve only one word to describe the post, BOOM! 4. Remedials/supplementary/enrichment classes:$50 per hr(market rate for MOE tutors). 8. Premium fees for last minute instructions from MOE for example, calling parents from 10pm-12am on a Sunday night to inform them of school closure due to haze. $100per hour. 9. Other miscellaneous fees such as home internet or using your personal hp talk time/mobile data to conference with parents/HODs(not including OT pay for doing these after 6pm): $110 per month. 11. Labour fees for moving cupboards,tables and shelves in classroom/staffroom, cleaning students up after they poo/vomit:$20 per hour. 13. Last but not least, fees for marking after 5pm each day, as no marking can be done before that due to meetings/CCAs/meeting parents/meeting vendors/meeting P: $50 per hour. At the end of the day, is that season parking so difficult to afford? I don’t think so. But the message that the sacrifices of teachers are not appreciated by MOE will have a greater cost than the revenue that it can collect from the season parking. Kudos to my ex-colleagues who are still believing in making a difference to the next generation. From a (currently much happier) ex-teacher.